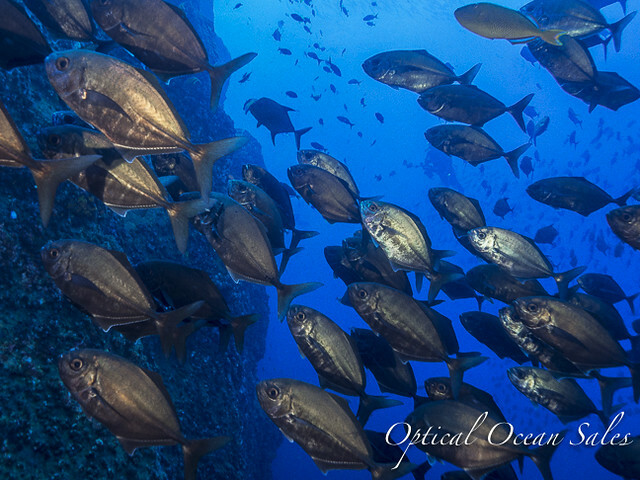 For my next trip to Cabo Pulmo and the Socorros Islands in Mexicos, I decided to take the new Nauticam E-M1MKII housing, along with my trusty Nauticam Nikon D800, and give them a bit of a wide angle shoot-out. Although there was a strange dearth of large animals, I did get good shots with both systems. 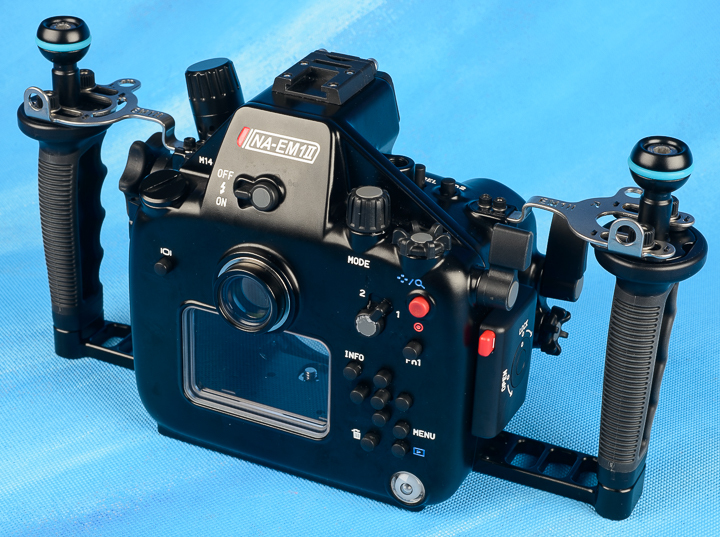 The new Nauticam NA-EM1MKII housing has been given a good facelift to match the slightly thicker camera. Made from anodized aluminum and depth rated to 300'this is a much more serious type of housing for consumers and pros alike. Still a “junior” size to DSLRs, it now is slightly larger than the previous model, with a more rounded shape. Controls are complete and larger where space permits. It’s been designed to be more in line with their current DSLR features such as a pull-out knob to disengage the zoom gearing, and a button at the front of the camera tray so that you can reset Nauticam’s electronic vacuum leak detector. 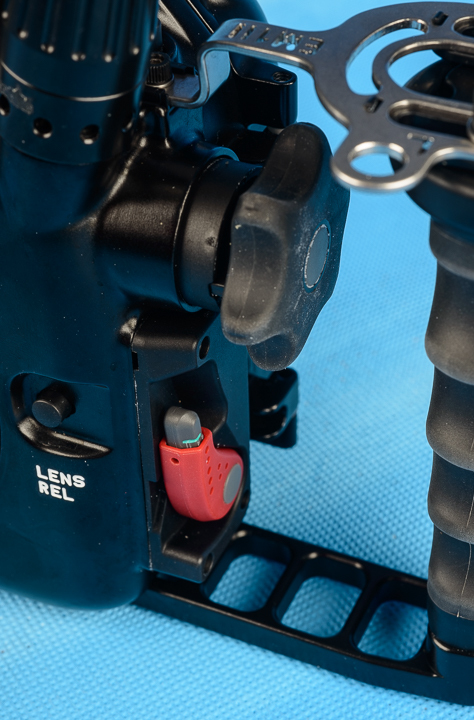 It has M14 and M16 bulkhead ports for a vacuum valve, electrical sync cord, or external monitor like the SmallHD. 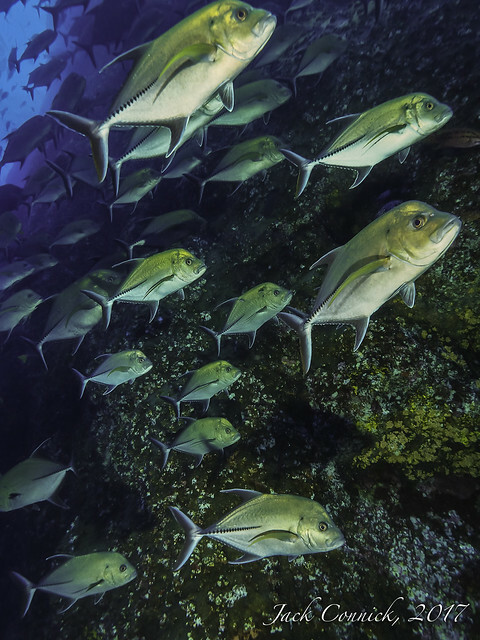 Overall, the housing seems quite rugged and well-laid out, typical to Nauticam’s designs. 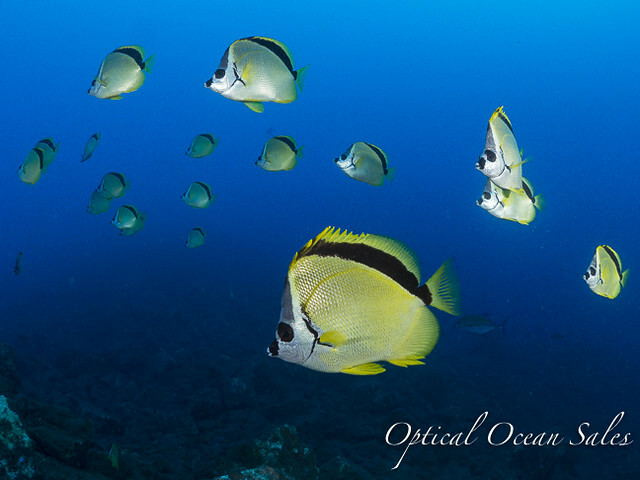 The Nauticam m 4/3rds system is mature, with many accessories and ports for both Olympus and Panasonic lenses. One change to Nauticam’s latest mirrorless housings has the port for the eyepiece placed in the metal back of the housing, rather in the rear glass. In the past, you had to change the glass to a thicker version to accommodate an external viewfinder. Now you just need the MIL viewfinder, so it’s a less expensive option. One problem for upgraders from earlier Nauticam MIL housings is that the older DSLR viewfinders will now not fit the newer Nauticam MIL housings. I used the Olympus 7-14mm PRO lens quite a bit this time, as the same Zen 170mm DSLR dome port fits it (with an extension ring and port adapter), as well as my D800 for the 17-35mm f2.8 and Sigma 15FE lenses. I housed the 8mm PRO lens behind the sweet Nauticam 140mm N85 glass dome for a better port that would give less distortion in the corners and sides than the normal 4” acrylic ports. 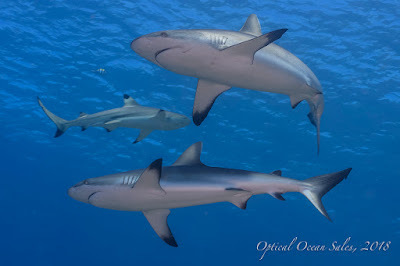 The Oly 7-14mm lens was great to use underwater, as it’s very adaptable for whatever shows up on a dive. I found myself using it at the both far and near ends of its range. 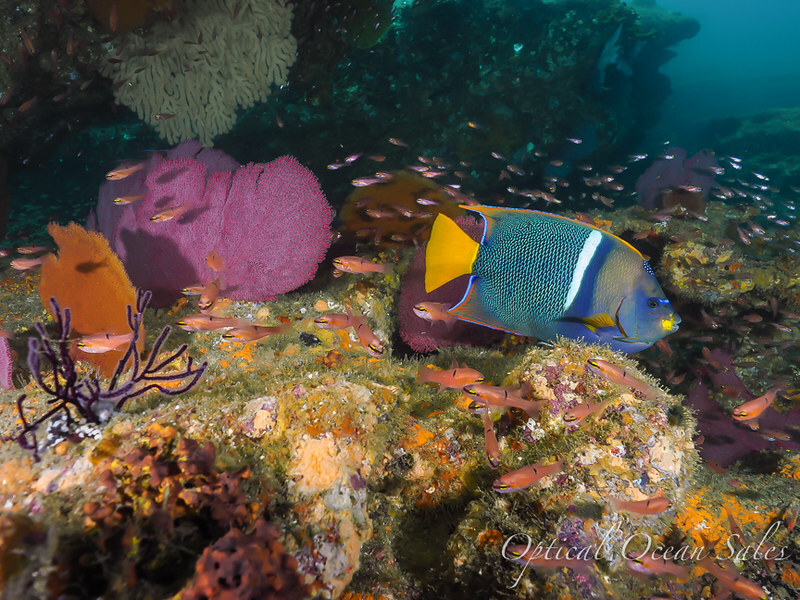 At 7mm it’s nice for CF/WA, or larger reefscapes and wall shots, and at 14mm it can pull you closer to fish. Its bright f/2.8 speed allows for fast camera focus as well. With the 170mm dome port, N85 to N120 port adapter and 20mm extension, it’s not a small setup (or inexpensive). I used the Stix float belt on mid-range zoom lens setups like this, as it tucks behind the dome port over the longer extension and nicely balances the rig. 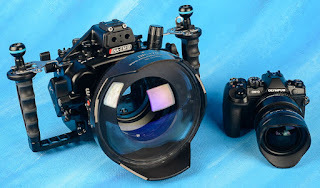 I also really liked shooting the Nauticam housing with the Olympus 8mm PRO lens and the glass 140mm dome port. It’s small, and fantastic for low light, with a large f/1.8 native aperture. You can pretty much focus up the dome, so it’s perfect for CF/WA shots. But unless you are shooting large subjects, you must get close to fill its large field of view. The Olympus hot-shoe flash that comes with the camera fits inside the housing, there is an optional manual LED trigger available, which is very fast, but lacks TTL, and only works with Inon, SS-2 and older Sea & Sea YS-D1 strobes – like many led triggers it won’t fire the latest Sea & Sea YS-D2 strobe due to it's weak sensor. In practice, I found using the Olympus flash inside the housing to recycle quickly, especially if the camera is used in manual mode and the duration set to 1/64th. It’s also nice to have TTL available for macro or close-up shots. So in several regards the standard flash is a good option. Besides Nauticam and Olympus, look for many other manufacturers to produce E-M1 MKII housings. 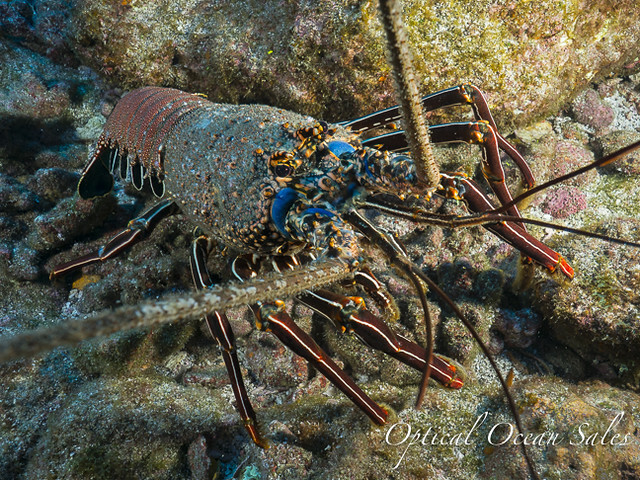 Subal, Ikelite, SEACAM all have offerings soon to be out on the market.